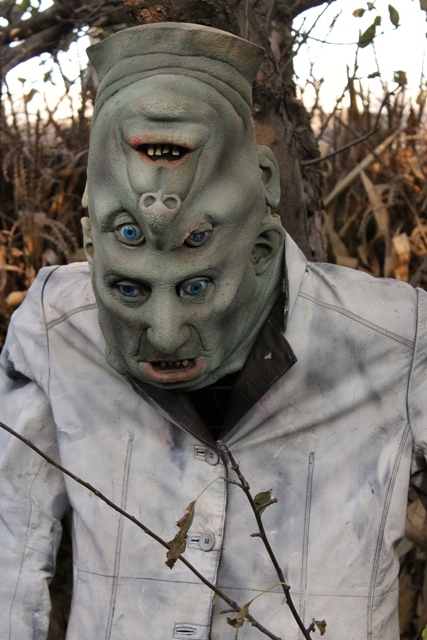 Dr. Destruction Haunts the Jerry Smith Pumpkin Farm! 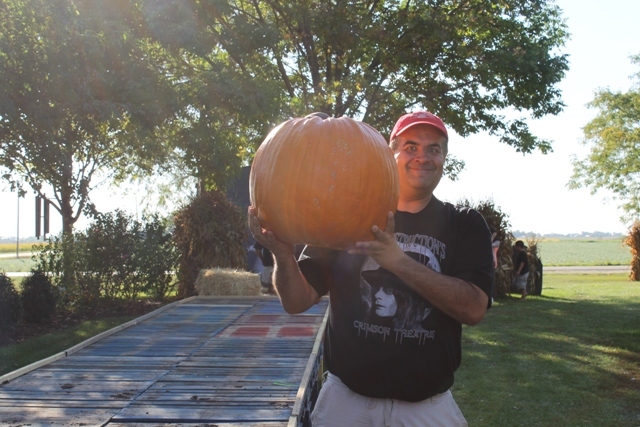 It had been two years since I’d last visited Kenosha’s Jerry Smith Pumpkin Farm but seemed like a lifetime. 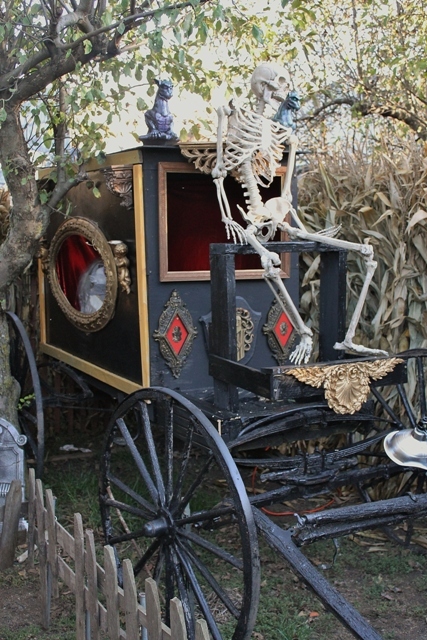 This was the site where Wisconsin Horror Host, Dr. Destruction, and I sat down and talked for the very first time. The occasion was shared here on this blog (click HERE if you’re feeling nostalgic) as well as an issue of Scary Monsters Magazine. 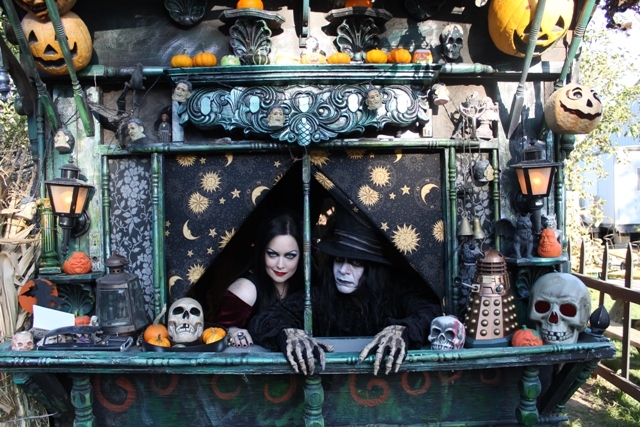 We sat in back of his hand crafted “Gypsy Wagon” and talked about horror hosting. I believe I left out the part where he and I went out afterwards to a local pizza place and drank too much whiskey and that the last hour of our conversation was slurred, but really what did that have to do with the story anyway? Let’s just say it helped facilitate a rather unusual friendship that still exists today. There wouldn’t be any boozing it up tonight, however, as I was encouraged by the host to experience the farm for all it’s splendor and bring along my kids and my mom. With each age demographic in tow, we made the journey to Kenosha. Before making our way to the infamous wagon, we checked out the farm’s shop which featured cider and cookies along with other Fall treats. 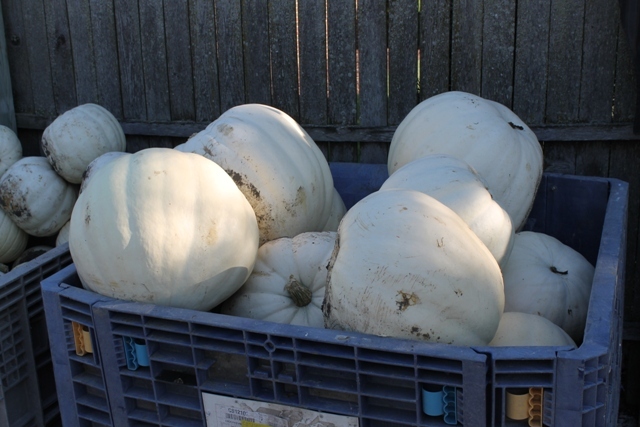 Outside were some of the nicest looking pumpkins I’d ever seen. Farmer Smith definitely knows his crop. There wasn’t room for a drinking buddy this time around as Destruction was joined by his lovely co-hostess, “Moliva Blosko.” This was the first time I’d met her and she seemed very sweet, not to mention, photographs well. Dr. Destruction will probably club me for saying this, but every time I come to Kenosha he’s got a new cast of of characters. In some ways it’s kind of cool as every time one visits The Crimson Theatre, its like a whole new experience! One thing has remained the same, however, and that is Dr. Destruction’s incredible hospitality. 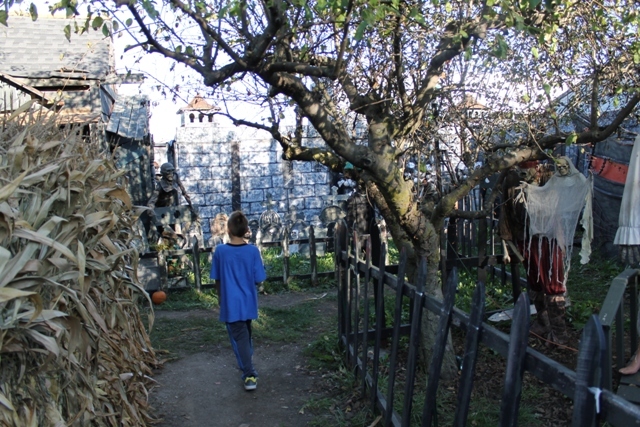 He invited the kids to experience his Haunted Forest and they ended up enjoying it so much, they did it several times. The cost is $5 and well worth it! 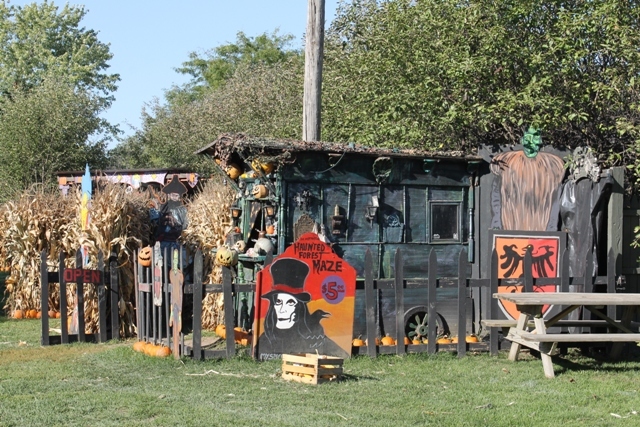 Afterwards we did a Hayride and checked out some of the amazing painted pumpkin displays! 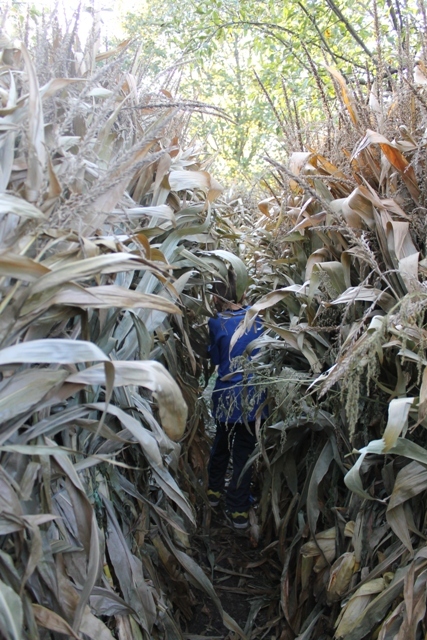 We even did a corn maze that, unlike the other ones I’ve done, was a REAL maze that took me 45 minutes to escape! 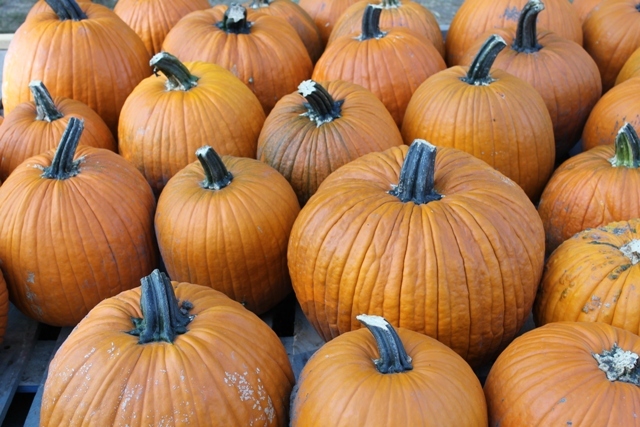 Definitely come out to The Jerry Smith Pumpkin Farm this Halloween season as there’s fun for the whole family! 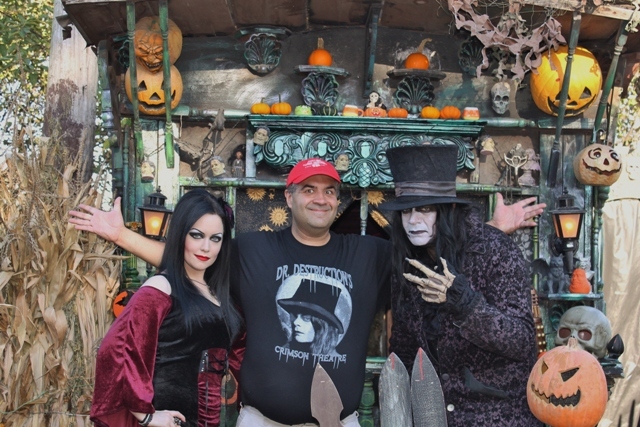 This entry was posted in Halloween, Haunted Attractions, Horror Hosts and tagged Dr. Destruction, Jerry Smith Pumpkin Farm, Pumpkins. Bookmark the permalink.